1. 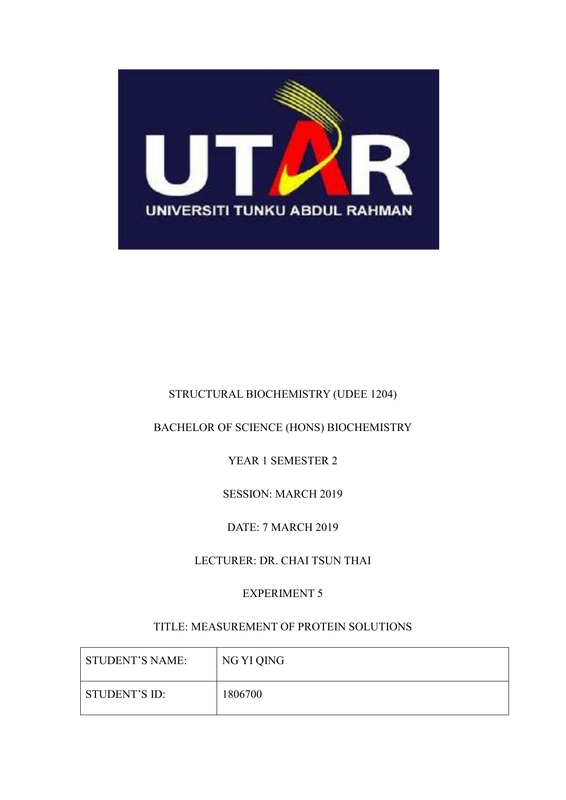 To learn the measurement of protein solutions. at room temperature for 20 minutes. 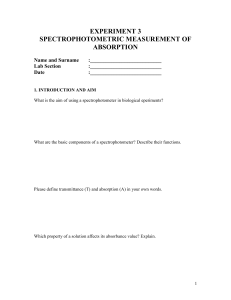 The absorbance is read at 550nm and spectrophotometer is being used. UNKNOWN samples are determined from the curve. 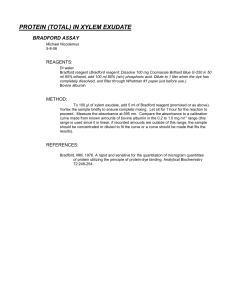 serum albumin and distilled water is used to create different concentration of sample. 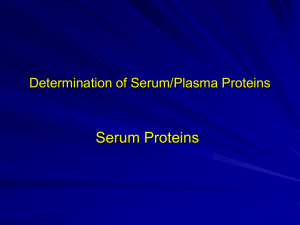 unknown bovine serum albumin is 4.98mg/mL. 550nm. The graph of absorbance versus concentration is plotted according to the table. The graph is slightly directly proportional to the bovine serum albumin concentration. 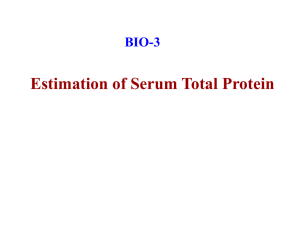 concentration of unknown bovine serum is between 4-6mg/mL. 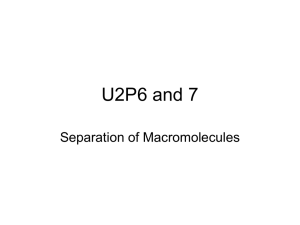 https://www.livescience.com/53044-protein.html [Accessed 10 Dec. 2015]. 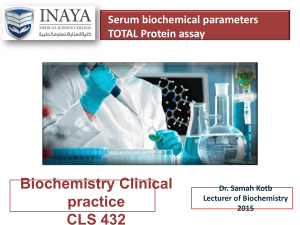 Protein Determination and to What Degree?. 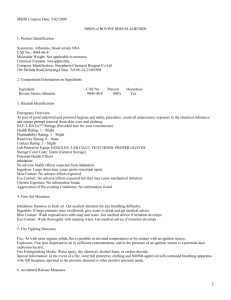 [online] Info.gbiosciences.com. 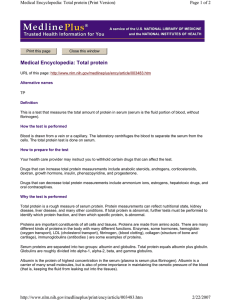 https://info.gbiosciences.com/blog/why-does-tyrosine-and-tryptophan-have-effectin-protein-determination-and-to-what-degree [Accessed 17 Feb. 2016]. 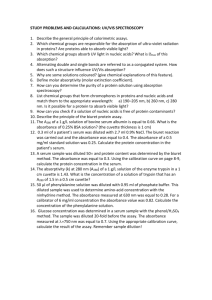 http://www.biologydiscussion.com/proteins/qualitative-and-quantitative-tests-foramino-acids-and-proteins/13065 [Accessed 9 Mar. 2019].